Show Background - Choose, whether you wish to have a background for your popup or not. 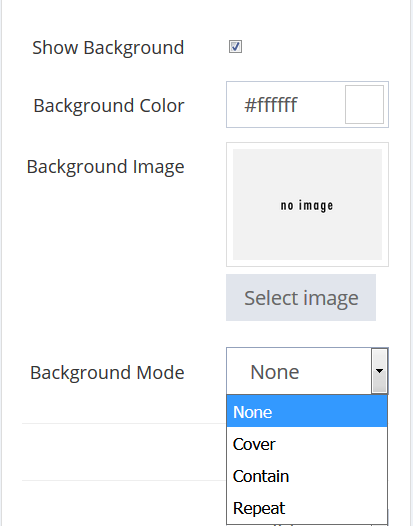 Background Mode - Select a mode for your popup&apos;s background: None, Cover, Contain or Repeat. Cover - the image will spread all over the background of your popup. Contain - the image will cover the part of the background according to its size (image size). Repeat - if the image is a small one, it will be repeated several times to cover the whole background. 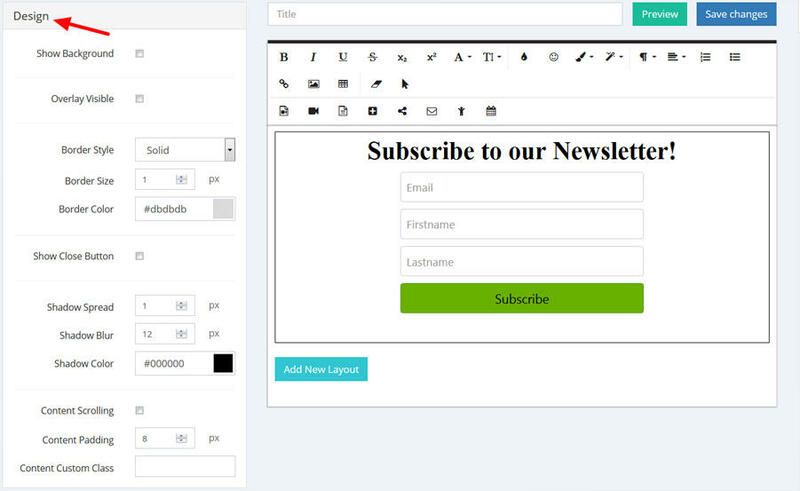 Border Style - Select a style for your popup border: None, Solid, Dotted or Dashed. Border Size - Set up the size of your popup border, in pixels. 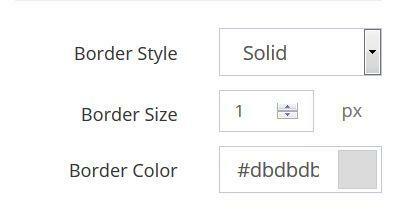 Border Color - Select a color for the border of your popup.